In this Friday, Sept. 15, 2017 photo, New Zealand Refinery staff work at the site of a jet fuel pipeline leak on a farm near Ruakaka in the North Island of New Zealand. A rupture in the main pipeline carrying jet fuel to New Zealand’s largest airport has disrupted the travel plans of thousands of people and is expected to cause further flight cancellations and delays through next week. WELLINGTON, New Zealand — New Zealand’s lawmakers and public employees were told Tuesday to cancel all nonessential flights to and from Auckland as a fuel shortage at the nation’s largest airport continued to disrupt the travel plans of thousands of people. The main pipeline that carries jet fuel to Auckland Airport ruptured last week. Since then, at least 70 domestic and international flights have been canceled, including 29 on Tuesday. Other flights have been delayed or rerouted. The problem comes at an awkward time for Prime Minister Bill English, who is in the midst of campaigning for national elections which are being held on Saturday. He said he’d told his lawmakers not to make any unnecessary trips and that all public employees were given the same message. The restrictions aren’t likely to affect the election campaign much, as most candidates are campaigning in their local districts. English pointed out he was traveling to Auckland later this week in his campaign bus. Opposition leader Jacinda Ardern, who is hoping to oust English in the election, said the government was warned years ago about relying too much on the pipeline. 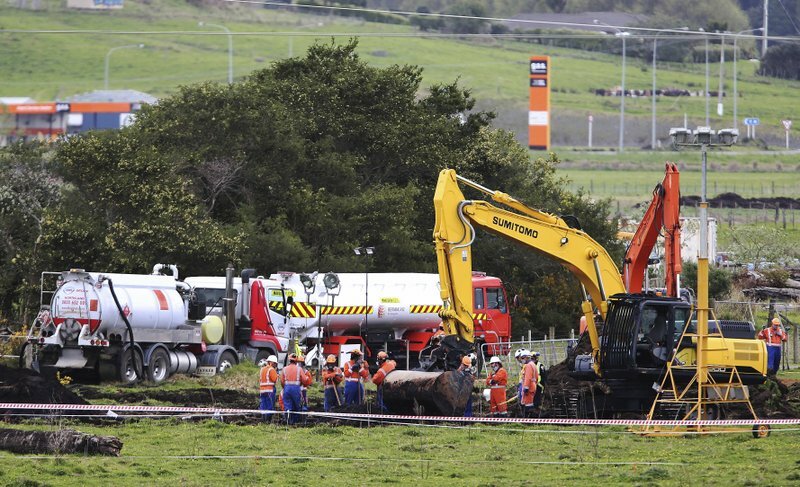 Pipeline owners Refining New Zealand said the pipeline was struck by a digger or other machinery and should be repaired by next Tuesday. Airlines have been restricted to using 30 percent of their normal jet fuel allowance at Auckland Airport. The carriers have managed to continue a majority of their scheduled flights, in some cases by refueling elsewhere. Air New Zealand said Tuesday it was taking the unusual step of restricting ticket sales, including stopping all sales on some international flights. The carrier said it planned to cancel eight international flights on Wednesday, including five to Australia, two to Fiji, and one to Vietnam. The company said about 3,000 customers would be affected Wednesday, bringing the total number of affected customers to 6,000. New Zealand’s lawmakers and public employees were told Tuesday to cancel all nonessential flights to and from Auckland as a fuel shortage at the nation’s largest airport continued to disrupt the travel plans of thousands of people.